The sleepy community of Brewster, Rhode Island, is just like any other small American town. It's a place where most of the population will likely die blocks from where they were born; where gossip spreads like wildfire, and the big entertainment on weekends is the inevitable fight at the local bar. But recently, something out of the ordinary - perhaps even supernatural - has been stirring in Brewster. While packs of coyotes gather on back roads and the news spreads that a baby has been stolen from Memorial Hospital (and replaced in its bassinet by a snake), a series of inexplicably violent acts begins to confound Detective Woody Potter and the local police - and inspire terror in the hearts and minds of the locals. 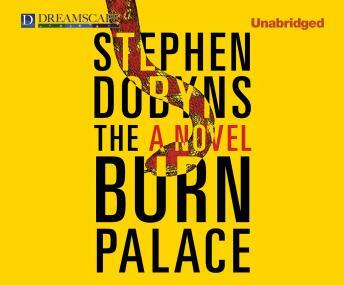 From award-winning author Stephen Dobyns comes a sardonic yet chillingly suspenseful novel: the literary equivalent of a Richard Russo small-town tableau crossed with a Stephen King thriller.